Southern Part of India has witnessed many Dynasties. The delightful south; almost unhurt by attacks throughout its history, the Indian heritage is more integral here than in other regions of the country. It is still untouched, green and pure, and thus represents different Cultures. 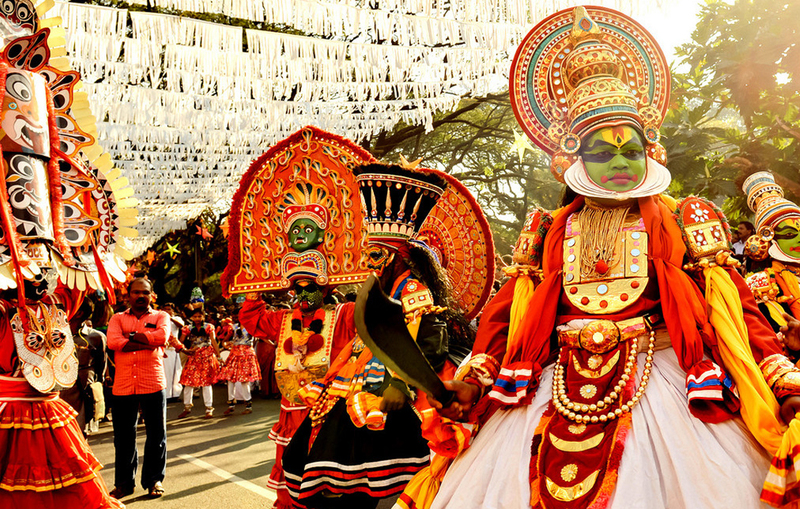 South India is a land of temples, a land of the devout where new wonders await. You feel the abundance of orange flowers, the soft beat of drums and the shade of the banyan trees as yet one more festival is to start. Rustic carts drawn by oxen with their brightly colored painted horns, smiling villagers harvesting the hay at the side of the road - these will be some of the memorable features of your journey surrounding Chennai or in the remote areas of south India. The devout people of the south India live their ancient religion. Nothing, however, can really prepare a visitor for the temples, where images of the quiet bustle of the vast halls, the huge gopurams completely covered by colored sculptures of gods and goddesses, the sight of bare feet walking across cool slabs, the invigorating odor of incense and the chime of the temple bell rung by priests and the faithful leave magnetic impressions.